The first gasoline was sold in pharmacies—but this was to change in the 1950s. As the car experienced its great rise in popularity, gas stations began to pop up like mushrooms out of the ground. Futuristic and progressive, these modern temples of mobility became roadside reference points for young people hungry for independence, and to everyone who strove for a sense of freedom.It's a Gas! 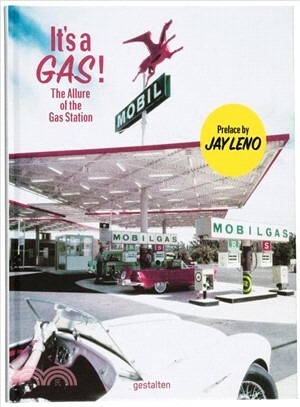 explores the surprisingly diverse world of the gas station—a functional high tech temple, a transit zone, a film set, a converted residence, or an abandoned ruin hidden in a backyard. The world of pumps is full of surprises, ready to be discovered in this book.